More than 160,000 homeowners have seen the ULTIONvideo of blowtorch burglary attempts in less than three weeks since it was posted, the company says. 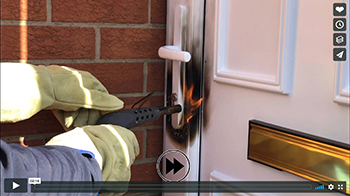 Burglars using blowtorches to force entry into properties gained widespread national press last month as the practice became more widespread across the UK read story. The video shows Ultion withstanding attacks from blowtorches,with its molybdenum core that can withstand 2,623C. It was also posted in response to many concerned homeowner enquiries through social media. As well as the Facebook viewings, it has gained 235 comments and over 700 shares.